When a young drifter is found murdered in the desert outside of Palm Springs, the police start their investigation - but it's crime reporter Sam Perry who gets to the bottom of the story. Working her way backward to piece together the victim's mysterious life, Sam gets drawn into the seedier side of the glamorous resort town, a world of strip clubs, blackmail, and betrayal. All suspicions point toward former A-list actress and now mayoral candidate Ellen Konrad, a woman that Sam can't quite figure out but is deeply intrigued by. As their mutual attraction grows, the clues begin to add up, and the list of people with secrets and a motive to kill multiplies. When she finally untangles the shocking story behind the drifter's death, the revelations put Sam and those closest to her in grave danger. K. A. Tracy has penned a superb series debut, introducing a hard-nosed crime reporter that is perfect for fans of Michael Connelly and Liza Marklund. 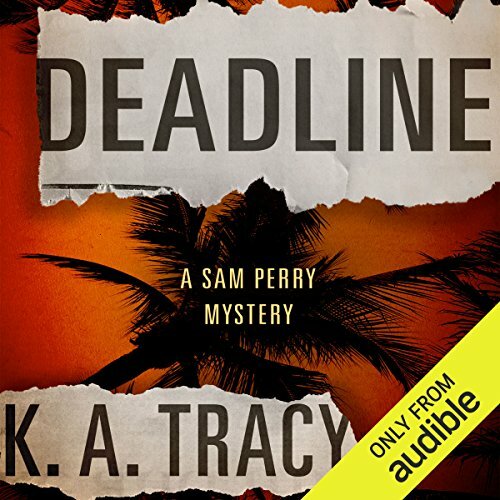 ©2015 K. A. Tracy (P)2015 Audible, Inc. When a young drifter is found murdered in the desert outside of Palm Springs, the police start their investigation - but it's crime reporter Sam Perry who gets to the bottom of the story. Working her way backward to piece together the victim's mysterious life, Sam gets drawn into the seedier side of the glamorous resort town, a world of strip clubs, blackmail, and betrayal. All suspicions point toward former A-list actress and now mayoral candidate Ellen Konrad, a woman that Sam can't quite figure out.